When it comes to your outside space it may be looking a little disorderly and unloved. A garden can be time consuming and need a lot of care and attention. If you find yourself not finding enough time to get all of those time consuming garden maintenance jobs done why not hire our specialist landscape gardening services. Landscaping Services London are the best when it comes to lawn care and garden design. 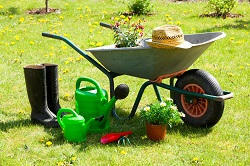 Whatever gardening service you need we can sort it. Our company has been operating for more than a decade and has a wealth of experience in this type of work. 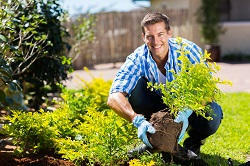 Our gardeners are skilled and know all there is to know about gardening services. We will create a brand new look that requires as much care as you are willing to put in from our professional landscape gardening service in London. All of our work is reasonable priced and will appeal to both business and domestic customers. Call us now 020 8610 9127 and chat to our helpful customer service. We can arrange a meeting to talk over what your need and supply a quote, or answer any questions you have concerning our garden landscaping services. A nice and well maintained outdoor area is lovely when you have some time to spare. It doesn’t matter how big or small your outside space is you can turn it into your little piece of paradise. With our expert help you can have an easy to care for or more complex garden. Our landscape garden services are second to none. We can design the perfect garden to suit you and your busy life. You can trust us to build ad convert what you have into a place you can enjoy any time of the year. If you want to start a new interest our gardeners will help advice and support you in all phases of gardening. We know all there is about lawns, flowers, shrubs and trees. Our landscapers are hard working and knowledgeable and will form the garden of your dreams. Enjoy the space you have don’t leave it sitting there looking a disheveled mess. Make the most of what you have and add some colour and greenery even a new patio will instantly lift the appearance of your garden. Whatever work you want our qualified London landscaping experts are on hand to assist. Call us now and ask for more details 020 8610 9127. Whether you have a business garden to care for or your own to maintain our experts are available to style and design the most magnificent garden. You will be impressed with our series and hard working staff. We are on hand to help make you a garden you will be proud of and want to show off to all of your family and friends. We can produce a place that suits your life. If you have a family and pets then we can make it suitable for playing and easy to care for. Are you searching for a place to sit and relax when the sun shines? Nothing is too much for our trained gardeners. Landscaping Services London are along established company with plenty of experience. Our work is done to a high standard and guaranteed for your peace of mind. We only use the best tools for the job and the environmentally friendly products. We follow all health and safety procedures so there will be not accidents or damage. For a great looking garden that is styled to suit you and your living call us now 020 8610 9127.